Visitors come to your website with the simple goal of finding what they’re looking for. If they don’t find it, they’ll click the back button and look elsewhere. You can get more leads and sales by making relevant information easily available to your website visitors. So how do you know what people are looking for on your website? Start by looking at your Google Analytics reports. Even if your website doesn’t get a lot of visitors, if you can convert the ones that do come to your website then that’s just as good. For example, if you’re a coach with a coaching program that’s $2000, if during the month you got 10 people to visit your website and had a 20% conversion, you would make $4000 for the month. The key is in the conversion. If you have a longer sales cycle, you’ll want to get visitors on your email list through an educational free offer. This way you can communicate with them further using lead nurturing campaigns. Again even with a small amount of visitors to your website, if you get those people on your email list, you’ll have a chance to turn that lead into a client. The key to conversion is to give people what they want. In the Account list, click on your website name to view your analytics. This brings you to the Reporting screen. On the left-side of the screen, under Standard Reports, click Content. This displays the content reports. Click Site Content and then click All Pages. Let’s see how you can find out this information. The All Content report, by default, lists all visited pages in order of popularity. 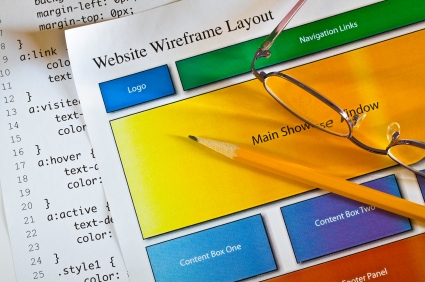 This report can help you see which of your pages are being viewed often on your website. If you are not strategically driving people to that page you can assume they are going to these pages on their own or the search engine results are taking them to this page. If the average time spent on a page is unexpectedly low, you might conclude that the page content does not meet the visitors’ expectations. If the time spent is high this may indicate that the call-to-action or next step is not clearly defined or needs to be refined. Bounce rate is the percentage of visitors that only viewed one page on your website before leaving. While exit rate is the percentage of people who exited your website from a page, however the visitor may have visited other pages before exiting from that page. The ultimate goal is to give people what they want. If they’ve found your website, no matter how big or small the amount of visitors, if your website gives then the information they’re looking for and you provide them with next steps you’re likely to convert them into a lead. The Google Analytics reports puts you at an advantage to see how you’re doing in meeting your visitors expectation. You then have the knowledge as to what’s working and what’s not. Review your analytics report and start making strategic changes to your website. Try the tips above and give yourself enough time between changes to evaluate the impact on your visitors, their behaviors and your conversion rate.